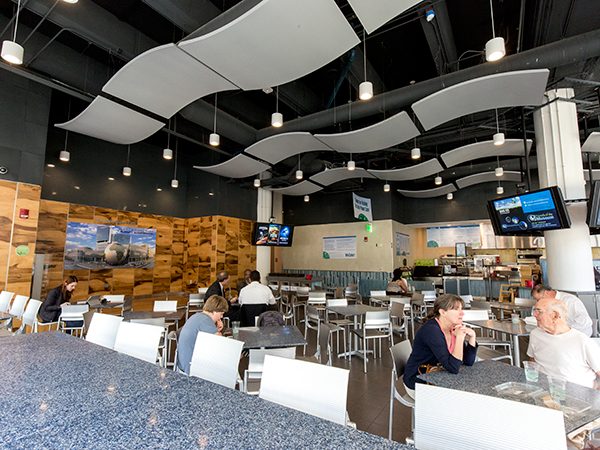 Enjoy a leisurely lunch break of delectable sandwiches, wraps, hot entrees and snacks. Sip a cup of organic, Larry's Beans coffee and watch the butterflies in the neighboring fourth floor Living Conservatory. The menu also offers kid- friendly options for meals and snacks. Acro Café can cater special events at the Museum and, with advance notice, can provide special box lunches for groups visiting the Museum. For more information or to make arrangements, contact museumevents@rockytophospitality.com or 919.850.2340. Information for groups who bring their own lunches and wonder, "Where can my group eat lunch?" The Café's seasonal menu features food from local and regional farms and purveyors. We love local, and so will you! Bring the family, enjoy a working business lunch, meet friends after work, or just stop in to check out our newest Rocky Top Hospitality concept!